Alfonso Cuarón (born 1961) is an Academy Award-winning director, screenwriter and producer from Mexico City. He enrolled in the Centro Universitario de Estudios Cinematográficos (CUEC) in 1979, but left school in 1983. Between 1984 and 1989, he worked as an assistant director to José Luis García Agraz, Luis Mandoki and John Duigan. In 1992 he directed his first feature, Sólo con tu pareja (Love in the Time of Hysteria, 1992), cowritten with his brother, Carlos Cuarón. It was Mexico’s highest-grossing film of the year and won an Ariel Award for Best Original Story. Cuarón came to Hollywood where he directed A Little Princess (1995) and Great Expectations (1998). In 2001 he returned to Mexico to make Y tu mamá también (2001), which earned him an Academy Award nomination for Original Screenplay. His film Children of Men (2006) also garnered critical acclaim and an Oscar nomination for Adapted Screenplay. In 2007 Cuarón formed the production company Cha Cha Cha Films with Alejandro González Iñárritu and Guillermo del Toro, and they became known as “The Three Amigos.” He won an Oscar for Directing for Gravity (2013), making him the first Mexican director to win this award. 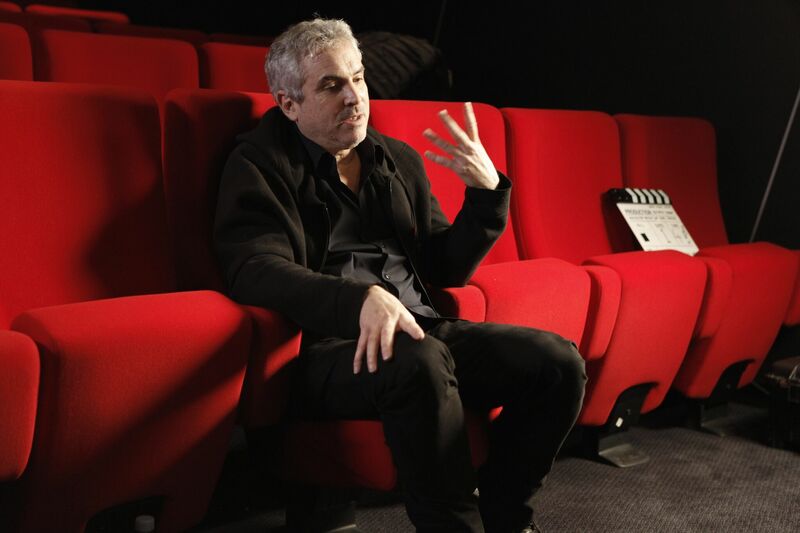 Alfonso Cuarón is interviewed by Lourdes Portillo at the British Film Institute, Stephen Street in London, England, on February 11, 2016. It is a co-production with the Getty Foundation’s Pacific Standard Time: LA/LA initiative and is part of the project From Latin America to Hollywood: Latino Film Culture in Los Angeles 1967-2017. 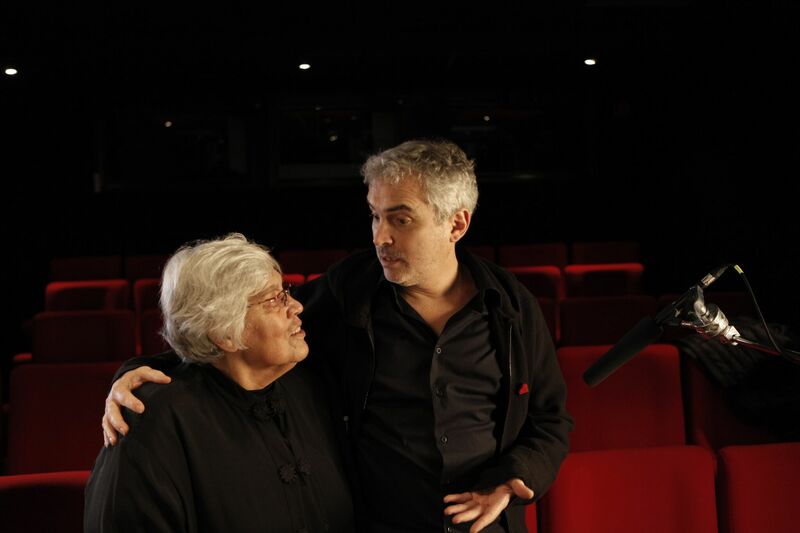 Cuarón reflects on his modest upbringing and describes his mother and grandmother as his biggest influences. He talks about how he always knew from a very young age that he wanted to be a filmmaker and credits his mother for nurturing this passion. He shares his early memories of watching films from the Mexican Golden Age of Cinema on television and going to the movies to see Hollywood films. Tracing his journey to a career in cinema, Cuarón remembers studying filmmaking at the Centro Universitario de Estudios Cinematográficos (CUEC). He asserts he learned his most valuable lessons there from the Mexican film critic and historian Jorge Ayala Blanco, a teacher he speaks of with great admiration. He talks about meeting cinematographer Emmanuel “Chivo” Lubezki, and directors Luis Estrada and Carlos Marcovich. He discusses their friendships, how they all ended up getting expelled from CUEC and their first cinematic collaborations. 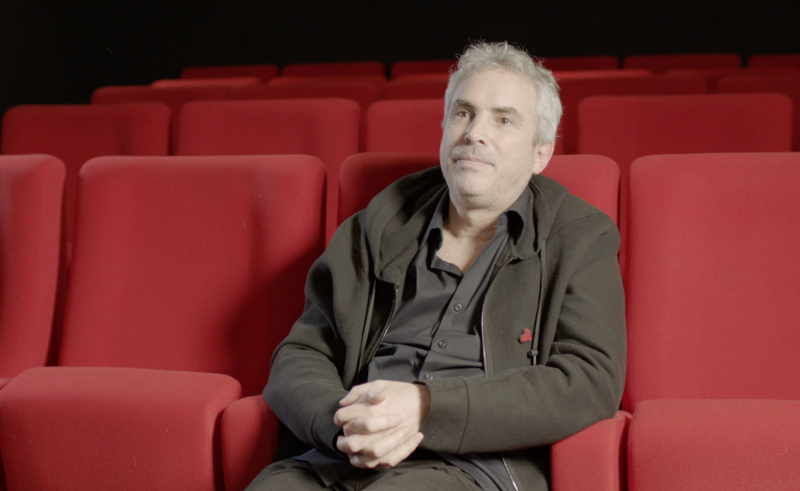 Cuarón goes on to share his experiences working as an assistant director on José Luis García Agraz’ films and how he ended up directing six episodes of the Mexican television horror series “La hora Marcada” in the late 1980s, an opportunity that marked a turning point in his career and ultimately led him to write Sólo con tu pareja (Love in the Time of Hysteria, 1992), his first feature film. He goes on to discuss the importance of great collaborations and speaks with much fondness and gratitude about the wonderful talents he has had the pleasure of working with throughout his career, including Chivo, his brother Carlos Cuarón, his son Jonás Cuarón, and directors Alejandro González Iñárritu, Guillermo del Toro and Carlos Reygadas. He shares the influences and processes behind the making of Y tu mamá también (2001). He recounts how, after a number of years working in Hollywood on A Little Princess (1995) and Great Expectations (1998), he returned to Mexico to make Y tu mamá también in order to reconnect with his love of cinema. Cuarón chronicles his move to London and describes working on Harry Potter and the Prisoner of Azkabban (2004), Children of Men (2006) and Gravity (2013). He talks about the decision to shoot Gravity digitally, his experience working with actress Sandra Bullock, and his feelings about being the first Mexican to win an Academy Award for Directing.